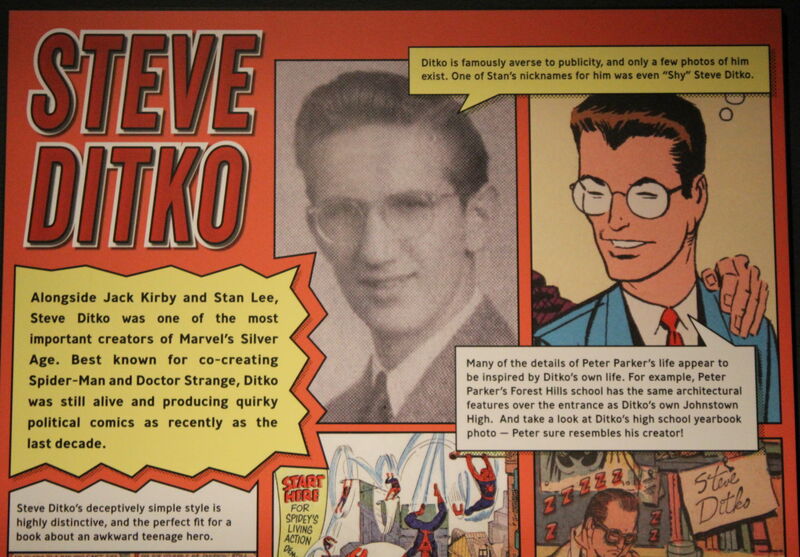 Enlarge / Even at the biggest Marvel Comics-related museum exhibit in the world, currently running in Seattle, WA, Steve Ditko’s presence is limited by his famously reclusive nature. New York police confirmed to The Hollywood Reporter on Friday that one of Marvel Comics’ legendary staffers, Steve Ditko, was found dead in his apartment this week. Ditko was 90. The creator of Dr. Strange and the original artist (plus “co-creator,” according to Stan Lee) for Spider-Man had been found days earlier, on June 29, and police told THR that they believed he had been dead for two days when he was found. Reports indicate Ditko left behind no family or survivors. Ditko’s impact on Marvel Comics may only be rivaled by his reclusive nature in later years. After creating and developing Spider-Man with Lee in 1961, Ditko premiered lasting hero Dr. Strange in 1963, and Ditko would continue to write and draw Dr. Strange stories for Marvel until 1966. Disputes over money and friction with Lee reportedly drove Ditko to leave Marvel in 1966, and Ditko shunned the public spotlight shortly thereafter; he gave his last formal interview in 1968, though he continued contributing comics to other publishers. In 2001, Ditko offered the following vague explanation for his Marvel Comics departure: “I know why I left Marvel, but no one else in this universe knew or knows why. It may be of a mild interest to realize that Stan Lee chose not to know, or hear why, I left.” This came after Ditko had resumed freelance work for Marvel Comics, most notably with his 1991 creation of Squirrel Girl. Ditko participated in a BBC documentary about his life in 2007 but asked that he not be filmed or recorded during his 25-minute chat with writer Neil Gaiman. “The first rule of Steve Ditko is—we can’t share Steve Ditko with you,” BBC commentator Jonathan Ross said at the time. Next Post:CAPTAIN MARVEL: Will Samuel L. Jackson And Clark Gregg Be Digitally De-Aged In The Movie?CAPTAIN MARVEL: Will Samuel L. Jackson And Clark Gregg Be Digitally De-Aged In The Movie?